A. Memory Foam-Hypoallergenic, Sensitive To Body Temperature And Pressure, Conforms To The Exact Contours Of Your Body, Improved Circulations, Reducing Tossing And Turning, Better Sleep Quality. B. 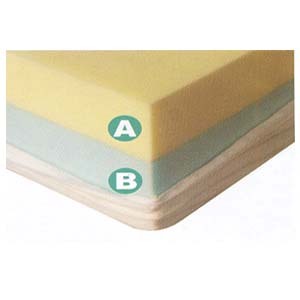 High Density Foam-Highly Resilient Foam Base To Provide Firm Support.